Adding the word diet to something makes most of us think of it as healthy – and very often, this is the way misnomers are born. It’s only natural for us to think of diet soda being a healthier alternative to the normal, calorie and sugar-laden sodas. Unfortunately, a 10-year study shows this to be very untrue, for the waistline as well as the heart. 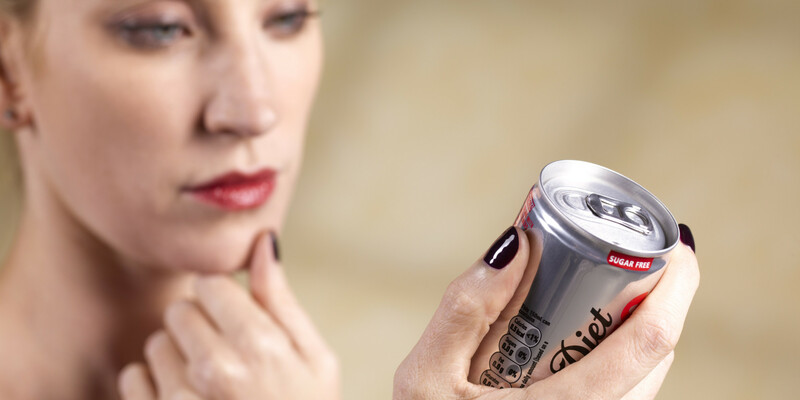 The study conducted by the University of Iowa, in which over 60,000 women were tested for nearly a decade, indicates that diet soda may actually increase the risk of heart disease in women. While the study did not conclusively prove so, it did point to an association, which basically means more study is needed in this direction. The results of the study showed that compared to women who rarely or never consumed diet soda, those who regularly drank two or more diet drinks every day were 30% more likely to have a heart problem and 50% more likely to die from a cardiovascular event or a heart-related disease. The scientific community is unanimous in calling these results alarming and in urgent need of more research, lest we now enter into the diet soda-caused heart disease pandemic. How is Diet Soda Bad for the Heart? Frankly, with sugar receiving so much flak for being bad and unhealthy, diet soda seems like a healthier alternative. You get the taste and the fizz – without the sugar and the calories. An average soda or sweetened drink has about 140 calories per serving. Diet soda and drinks replace that sugar with one or more chemicals like aspartame, saccharin or sucralose, and make a diet drink relatively calorie free. But what do these chemicals do to us once consumed? Artificial sweeteners have no calories themselves to speak of, but they do trigger an insulin rush in the body – thus actually making the body store fat. Taste-wise, artificial sweeteners are a tad too sweet – thus deadening the ‘sweet’ taste buds and ending up making us consume even more sugar. According to a University of Minnesota study, diet soda increases the risk of Metabolic Syndrome and type-2 diabetes by over 30%. The term Metabolic Syndrome, basically points to a host of lifestyle-related events such as higher cholesterol and triglyceride levels, elevated glucose and lowered insulin levels, higher blood pressure and a larger waist circumference. These factors in turn contribute to a higher risk of heart disease and/or stroke in later years. Are There Other Studies Pointing to This? There have been many studies conducted by various research organizations over the recent years that reveal rather alarming associations between the consumption of diet soda and an increased risk of heart disease. The MESA study shows that people who drink diet sodas on an everyday basis have a 36% greater risk of developing the above-mentioned metabolic syndrome and a 67% increased risk of developing diabetes. Are Men At Risk Too? In case you thought your male gender means you can consume all the diet sodas in the world, hang on just a minute. A 2015 study in Sweden linked a 23% increased risk of heart failure and disease in men who regularly drank sweetened and artificially sweetened drinks every day. But other research presented at the American Heart Association’s International Stroke Conference demonstrates that drinking even one diet soda every day can increase your risk of contracting heart disease by an astounding 48%! While all studies point to an association between an increased risk of heart disease and cardiovascular events, none of them can actually prove an undeniable association, and more studies are needed to do so, rather urgently. Until then, it’s best to avoid that sweetener-laden sip!